Review: For their second release, London party crew turned label chiefs Butter Side Up have enlisted the services of Midge Thompson, a young producer from Leeds who has been a regular guest at their events in the past. As debut EPs go, "New Destinations" is quietly impressive. 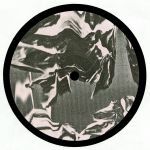 He starts confidently via the swinging and bass-heavy UK garage/tech-house/deep house fusion of "Destination 2242" before opting for a deeper, spacier feel on the two-step shuffle of "Delta 9". "Beeston Lights" feels like a warmer update of the classic UK tech-house sound of 2000s Sheffield duo Swag, while Titonton Duvante's killer remix of "Destination 2242" is a spacey, swinging and bass-heavy chunk of intergalactic late night goodness.